We were planning to join a mini Shiba Inu meetup at Fort Funston today, but someone failed to get out of bed... Since the weather was so nice and Maya really needed a bath, we still decided to head to the beach. 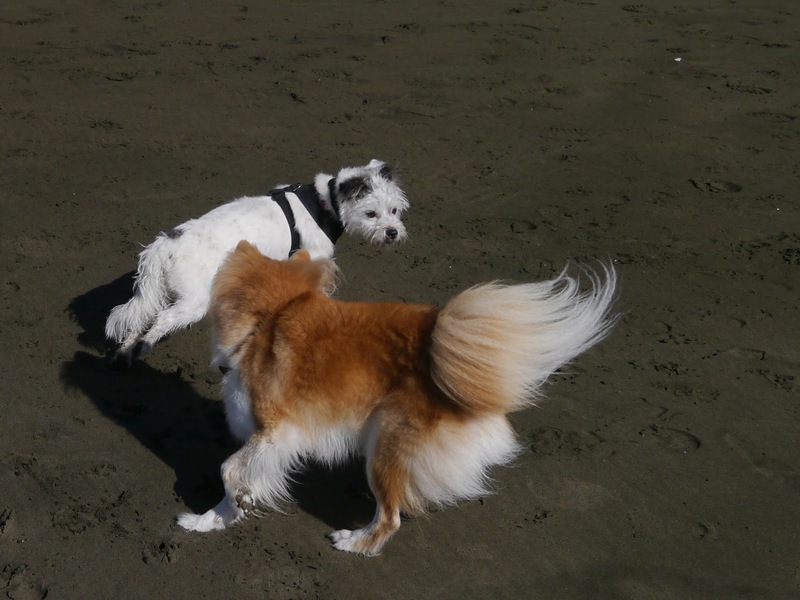 Though we didn't get to meet any Shibas, Maya still had a lot of fun chasing other dogs down the coast. After the trip, we went to Pet Food Express for a bath. I'm glad we didn't bathe her at home, cause she covered the whole sink with fur. We still weren't able to get all the fur out at the store, so she got a good brush after we got home and I ended up having to vacuum the entire living room. "Please let me off leash!" How can such a little thing produce that much fur?